Who Is Responsible—and Who Will Pay—For Your Car Accident? Before you can recover damages for the injuries you suffered in your car accident, you are going to have to determine who was at fault for the accident, whether you are legally entitled to damages, and if you are, how to best advocate for your full and fair recovery. Been negligent. Drivers owe other motorists what’s known as a “duty of care”. If a driver violates that duty of care by failing to act reasonably, and if that breach of the duty of care causes an accident and injury, that driver is legally responsible for causing the accident. For example: if a driver is daydreaming, crosses the center line of the road, and causes a crash, the driver’s negligence may make that driver liable for damages. Violated a law. Sometimes drivers violate a state motor vehicle law. For example, if a driver runs a red light, he may be liable for the accident damages because he violated the law of Georgia or South Carolina. Though not as common as the reasons described above, a driver’s intentional actions could also result in a car accident. Whether your crash and resulting injuries happened because of intentional actions, negligent actions, or the violation of a state motor vehicle law, you will need to convince the insurance company or court that you are entitled to a fair and just recovery for your accident damages. There are always two (or more) sides to a car accident story. You may believe that the other driver was solely at fault for causing your crash by texting and driving, while the other driver believes that you are at least partly to blame because you were speeding. Other evidence may also be important in some cases and should be discussed with your attorney. Free! Everything You Need To Know About Car Accident Claims. What Happens if More Than One Party Is At Fault? Car accidents are not always the fault of one driver. If the evidence reveals that more than one driver was at fault for an accident, a percentage of fault will need to be attributed to each driver who caused the crash. 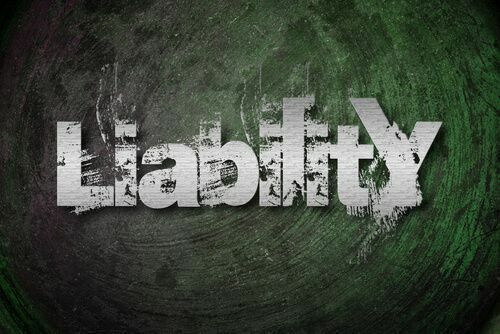 This can be a hotly-contested finding during settlement talks or litigation because the percentage of fault determines the amount of liability for each party. The quality of your evidence and the strength of your arguments will be critical in determining how much liability each party has for the accident that left you injured. If you were partly responsible for the crash, you may still be able to recover damages. Georgia and South Carolina both follow a comparative negligence rule. That means that you can recover from any other driver who was more at fault for the accident than you were. Thus, if you are 50% or more responsible for the crash, you cannot collect damages. However, if, for example, you were 30% responsible for the crash and the other driver was 70% responsible for the crash, you may recover 70% of your damages from the other driver or his insurer. In Georgia, you have two years to file a car accident claim if you’ve been hurt. In South Carolina, you have three years to file a car accident claim if you’ve been hurt. However, the time to file a claim may be shorter or longer in some circumstances. For example, the deadline for filing a case may be shorter if your claim is against the local, state, or federal government, and the deadline may be longer if you were a minor or mentally incapacitated at the time of the crash. If you fail to file your case before the statute of limitations expires, the party who is liable, or his insurer, is under no legal obligation to pay your damages. It is important to note that you do not need to wait until the statute of limitations is about to expire to file your case. Instead, it is important to file an insurance claim early and to hire an attorney who can make sure you do not forego you chance of a fair recovery by missing the statute of limitations deadline. By filing early, you may also make sure that valuable evidence is preserved and you may recover damages sooner. Without the help of an experienced car accident lawyer, you are at risk of getting less than a fair amount for your car accident injuries. Evidence may not be collected and arguments may not be made that establish who was truly responsible for your accident and resulting injuries. Instead, you are at risk of bearing some of the financial responsibility for an accident that you did not cause. Thus, it is important to schedule a free consultation with an experienced car accident lawyer who knows how to fight for your full and fair recovery. To learn more about determining fault after a car crash and fighting for the damages you deserve, please download a FREE copy of our book, Understanding Georgia Automobile Accident Claims - A Claimant’s Guide, and please start a live chat with us today. Posted on 02/06/2018Can Your Vehicle Help You After An Accident? ?Do I need an accident reconstruction expert for my car accident case? ?What are possible sources of compensation after a car accident? ?How can I help my attorney in my auto accident case? ?Should I sign a medical authorization for release of information for the negligent driver’s insurance company? ?Should I give a recorded statement to the insurance company for the negligent driver who hit me? ?Do I need to see a doctor right after my car accident? Posted on 02/15/2018 How To Choose The Best Car or Truck Accident Attorney in Augusta, Georgia! Posted on 11/01/2017 Could You Have a Dram Shop or Social Host Claim for Compensation for Injuries Caused in an Auto Accident?